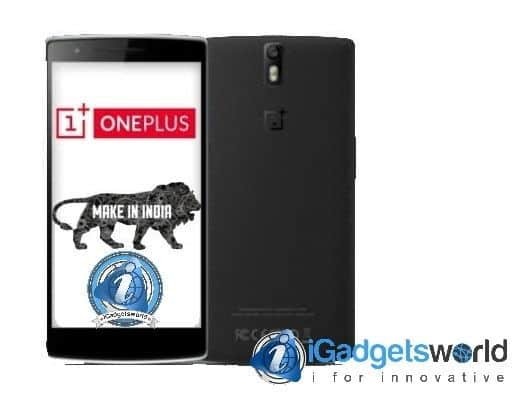 Just this evening, OnePlus X was spotted on Chinese certification website. And looks like rumors and leaks are now very common for OnePlus phones. The OnePlus X or called as OnePlus Mini has now been spotted on Amazon India website. The OnePlus X or OnePlus Mini, whatever as we don’t know the official name yet was spotted on this Amazon India page. And the listing names it as OnePlus Mini, 32GB variant and as usual, looks like OnePlus will follow the Invite System for sure as well as there is the mention of ‘Invite Only’ on Amazon India’s page. However, the page was removed later and we are still not sure what will be the final name of the device, but yes OnePlus Mini or OnePlus X is definitely close to launch. According to the listing, the OnePlus Mini will feature a MediaTek MT6795 (Helio X10) processor, which totally goes to the opposite of the earlier reports suggesting a Qualcomm Snapdragon 801. The listing also suggests that the OnePlus Mini will feature a 5-inch full HD 1080p display, 2 gigs of RAM, and 32GB of internal storage. And at last, the thng that we have been waiting for, OnePlus Mini is equipped a force-sensing touchscreen from Synaptics, which is similar to Apple’s 3D touch. OnePlus made it official yesterday that OnePlus will start manufacturing smartphones in India, and indicated that new smartphones will be made. But there was no mention about the OnePlus Mini. So, we can hope that they are close to start manufacturing the device and getting it up for sale soon.